Bozeman is a city in and the county seat of Gallatin County, Montana, United States, in the southwestern part of the state. Start off your visit on the 18th (Tue): learn more about the world around you at Museum of the Rockies, then get to know the fascinating history of Downtown Bozeman, and then tour the pleasant surroundings at Montana Grizzly Encounter. Here are some ideas for day two: see what you can catch with a fishing tour. For ratings, photos, and other tourist information, go to the Bozeman day trip planning website . Use the Route module to find travel options from your starting location to Bozeman. In June, plan for daily highs up to 77°F, and evening lows to 45°F. Cap off your sightseeing on the 19th (Wed) early enough to go by car to Yellowstone National Park. Step out of the city life by going to Artist Point and Yellowstone National Park. And it doesn't end there: contemplate the waterfront views at Yellowstone Lake, take in the natural beauty of Blue Star Spring, take in the dramatic scenery at Mystic Falls Trail, and hike along Brink of the Lower Falls Trail. 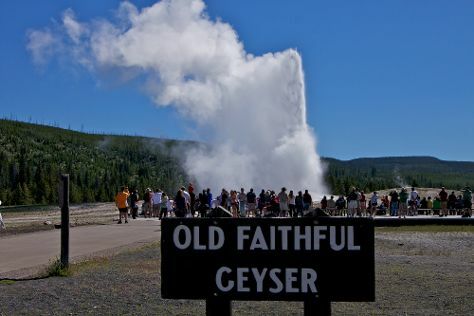 To find more things to do, other places to visit, photos, and other tourist information, go to the Yellowstone National Park online trip itinerary maker . Traveling by car from Bozeman to Yellowstone National Park takes 3.5 hours. Alternatively, you can do a combination of bus and car; or take a bus. Prepare for slightly colder weather when traveling from Bozeman in June: high temperatures in Yellowstone National Park hover around 66°F and lows are around 34°F. Wrap up your sightseeing on the 23rd (Sun) to allow time to travel to Wallace. Wallace is a small historic city in the Panhandle region of the U.S. 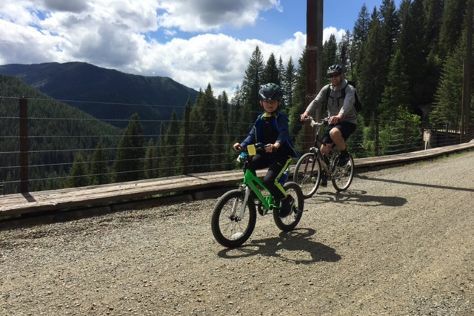 Kick off your visit on the 24th (Mon): admire the majestic nature at Hiawatha Mountain Bike Trail, tour the pleasant surroundings at Hiawatha Mountain Bike Trail, and then indulge your thirst for a good beer at Wallace Brewing Company. For ratings, more things to do, reviews, and more tourist information, refer to the Wallace online trip builder . Explore your travel options from Yellowstone National Park to Wallace with the Route module. The time zone difference when traveling from Yellowstone National Park to Wallace is minus 1 hour. Traveling from Yellowstone National Park in June, expect nights in Wallace to be somewhat warmer, around 44°F, while days are a bit cooler, around 60°F. 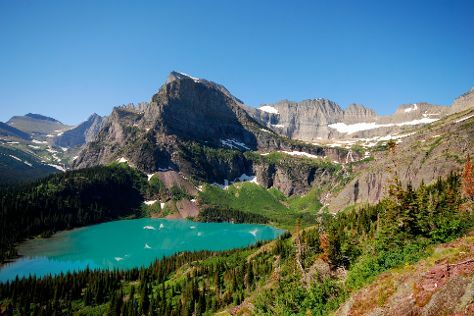 Wrap up your sightseeing on the 24th (Mon) to allow time to travel to Glacier National Park. Escape the urban bustle at Going-to-the-Sun Road and Virginia Falls. And it doesn't end there: take in the dramatic natural features at Grinnell Glacier, hike along Iceberg Lake Trail, appreciate the views at Logan Pass, and stroll through Highline Trail. For traveler tips, more things to do, other places to visit, and other tourist information, refer to the Glacier National Park online road trip planner . The Route module can help you plan travel from Wallace to Glacier National Park. You'll lose 1 hour traveling from Wallace to Glacier National Park due to the time zone difference. When traveling from Wallace in June, plan for a bit warmer days in Glacier National Park, with highs around 75°F, while nights are about the same with lows around 45°F. Wrap up your sightseeing on the 27th (Thu) early enough to drive back home.